Laser TV "health eye protection" has been confirmed by the national authority!A total of 144 sets of test data were obtained through a rigorous comparison of laser and LCD televisions watched by people in the same condition by ophthalmologists from the China institute of electronic technology standardization laboratory and Beijing union medical college hospital.The data confirm: laser TV indeed has very strong eye protection characteristic, in particular aspect even has certain improvement effect. West lab and union medical college hospital ophthalmology experts selected the 36 people and divided into 6 groups under the same conditions for the two days of testing, compared to the human eye in a certain time (90 minutes), a certain distance (3 m) before and after watching the same size of laser TV and LCD TV's subjective and objective evaluation, and 144 groups are obtained about the human eye vision, diopter, appears broken, ciliary muscle flexibility and human eye subjective feeling of test data. The data analysis and comparison confirmed that the subjects' visual acuity, diopter and ciliary muscle changes, as well as symptoms such as eye distension, eye pain, photophobia, dryness and blurred vision after watching the LCD TV.After the subjects watched the laser TV, there was no significant change in key indicators such as visual acuity and subjective eye feeling.The study also found that the ciliary muscle is likely to cause myopia due to long and excessive contraction of the ciliary muscle, and the subjects have obvious fatigue of the ciliary muscle after watching the LCD TV, and the ciliary muscle tends to be more flexible after watching the laser TV, so it can be seen that watching the laser TV under the same conditions is not only more comfortable, but also can protect the eyes to some extent. 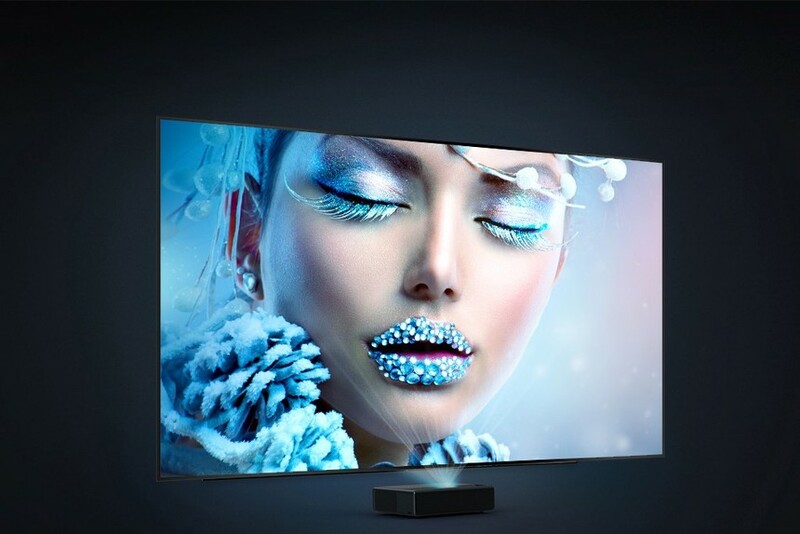 Laser TV expert Dr Xiangrong liu pointed out that the health of laser TV eye protection is determined by its luminous imaging principles.Liquid crystal or OLED TV adopts direct imaging, with large-area screen light coming directly into the eye, accompanied by problems such as highlighting and stroboscopic refreshment. The larger the size, the longer the viewing time, the easier it is to cause visual fatigue.The laser TV, through the screen, reflects light into the viewer's eyes, just as everything in the natural world reflects sunlight and finally enters the eye. The light is soft, comfortable and not dazzling. 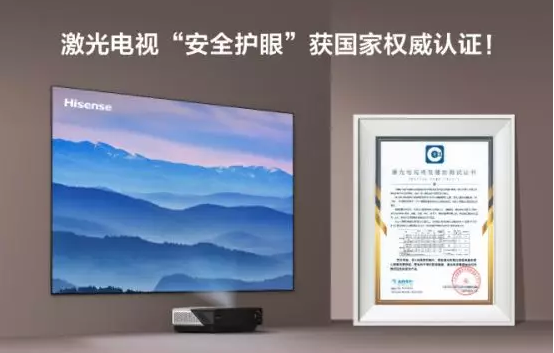 Domestic sales of laser TVS increased by 326.32 percent year-on-year in the first half of 2018, according to data provided by mediaokang.As the "inventor" of laser TV, hisense laser TV's sales and sales accounted for 94.46% and 94.82% of the whole laser TV market in August, accounting for half of China's 80-inch color TV market.